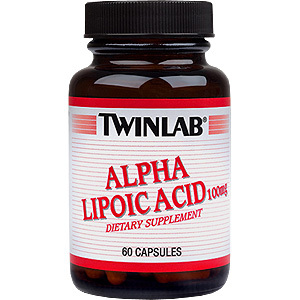 Alpha lipoic acid is a powerful sulfur containing ingredient. It works synergistically with antioxidant vitamins C & E and glutathione. Well tolerated by most highly allergic individuals. This product is manufactured at our state-of-the-art facilities with stringent quality control assuring correct potencies and outstanding product freshness. Packaged in a glass bottle for maximum stability, quality and freshness. As a dietary supplement for adults, take one capsule daily preferably with a meal or as directed by a health care professional. *Daily Value not yet established. Other Ingredients: Cellulose, Potato Starch, Gelatin, Purified Water, MCT, Magnesium Stearate, Silica. No corn, soy, yeast, milk or egg products. No added sugars, salt (sodium), preservatives or tablet binders and coatings. 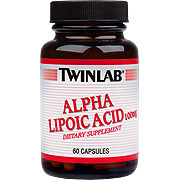 Alpha Lipoic Acid 100mg is shipped in a discrete, unmarked package. Orders are processed immediately and usually take about 3 to 5 working days to be received. We do ask that you try it for 2 to 3 weeks to feel the full effects. Any information received is used only for order processing and shipping purposes. Your information, such as e-mail address, will never be disclosed to a third party.